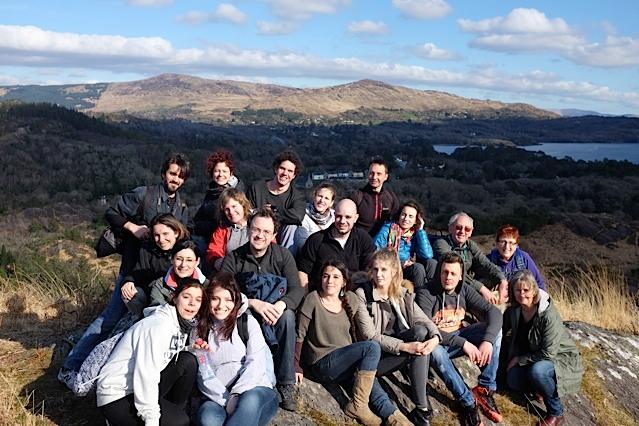 Sunday 24th of June sees Irlanda Italiana organise another walking trip! “Walk with us in Guagán Barra” promises to be a sociable and leisurely stroll; we will walk from the church into the forest and then climb up a little to the source of the river Lee. Meeting outside Cork City Library at 9.10am. Leaving Cork City Library and driving in the direction of Guagán Barra at 9.15am and we will meet upon arriving at our destination at 10.30, we will park the cars at the church. Our walk starts at 10. 40am sharp and we ask all members to heed the instructions of our guide and Irlanda Italiana member Frances Kenny, at all times, but particularly at the beginning of the walk. The duration of the walk will be 2.5 – 3 hours depending on the pace. At the end of the walk we will get the chance to visit the church and the monastery. Boots are not necessary because we will be mostly using paths and roads but suitable walking shoes/trainers are recommended. Please remember to bring Rain Gear! 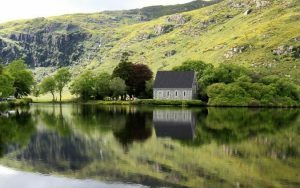 We will leave Guagán Barra at 2.30pm approx. to arrive at Toons Bridge in “Toons Bridge Dairy Shop and Cafe”, for our lunch which we have booked for 3pm. As the walk is only for 2.5 hours and we are having lunch out, you might just wish to bring a drink and a snack with you. Finally, although the route is a much used, safe and accessible route and although we will have our own group guide walking the course with us, a certain level of fitness is required by anyone hoping to participate. All individuals (members or not), choosing to walk with Irlanda Italiana at this event do so at their own risk. Looking forward to having you with us ;)!